The Shack movie deals with the tough questions, in theaters March 3rd. Based on the New York Times best-selling novel with over 22 million copies in print worldwide, The Shack takes us on a father’s life-transforming journey that will show him the ultimate truth about love, loss, and forgiveness. Tune in today as we discuss all this and more on todays episode! Black American Patriots in American history: Untold truths of black history on the Glenn Beck Program, part 2. In this episode, you will learn the truth about why we separated from Great Britain, how ending the exportation of slaves caused an early type of eugenics, The Missouri Compromise, the making of the Republican Party, and so much more! Tune in now to find out! Black American Patriots Part 1: Untold truths of black history on the Glenn Beck Program, part 1. In this episode, you will learn about the truth about voting rights for blacks and women, how slavery was established in America, and so much more! Tune in now to find out! Trump Inauguration: Emotional mob mentality at the protests after the Trump Inauguration. Pastor Tim Brooks talks about his encounters with the protesters at Trump Inauguration. After engaging with the protestors to understand why they were there, he was unable to get even one clear answer. Immigration: The Biblical approach to immigration, our government's true jurisdictions. Find out what the government's role is and what biblically we should be doing. Misinterpreting The Constitution. Facing Reality, How Bad the Federal Mess Really Is. Misinterpreting the Constitution. Facing reality, how bad the federal mess really is, the misinterpretation of the Constitution, unconstitutional spending, and what the American people need to know. 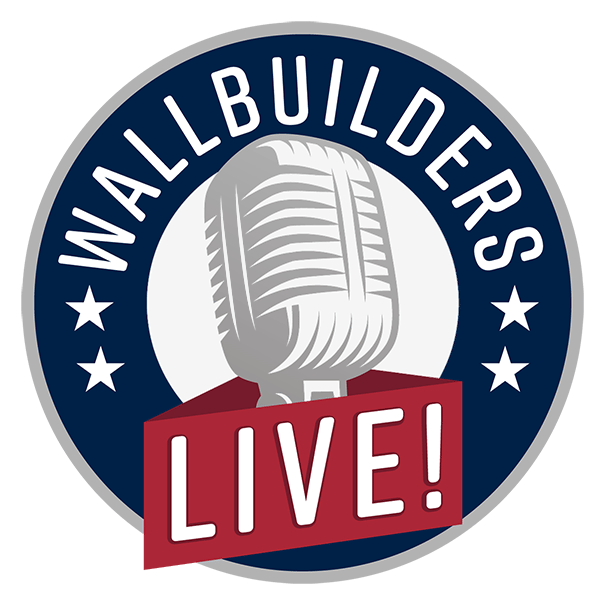 Find out this and more, here on WallBuilders Live! Inauguration Prayer Service bringing new hope to people of faith. In this episode get an insider's look into the prayer service with Mr. Trump and Mr. Pence. Find out their responses to many pastors you may have heard of who spoke and prayed over the new president and vice president's life. Tune in now to find out more! Concrete lessons for a leadership awakening in America today. In this episode learn about the foundational principles for lasting success.